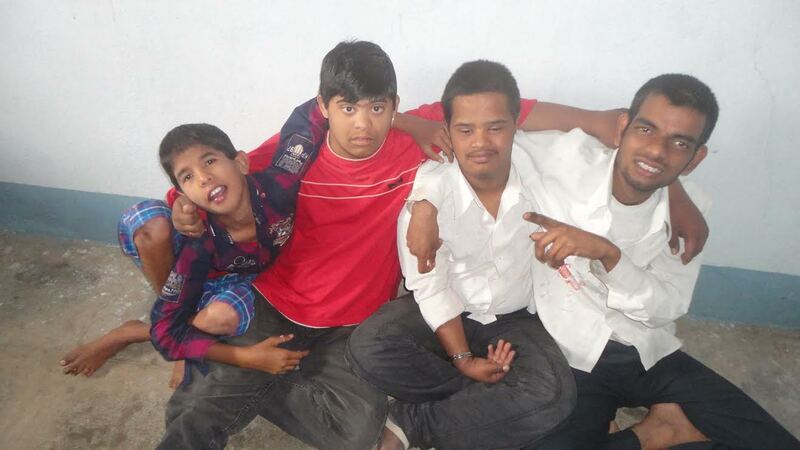 Atlanta,GA: Nestled in the rural Adilabad district of Telangana, Shantiniketan, a non-profit organization, provides special education and vocational training to children challenged with visual, hearing or speech impairment, autism, cerebral palsy, and various other debilitating conditions. The brainchild of Atlanta educator Janardhan Pannela, Shantiniketan aims to provide services such as physiotherapy, speech therapy, psychological assessment, guidance counseling and awareness camps to students with disabilities. Registered under the Andhra Pradesh Society Act, Shantiniketan has a governing body as well as executive members and an advisory committee with members from various fields of work. Inaugurated in October of 2011, Shantiniketan currently houses 24 children between the ages of eight and 21 years, contributing rehabilitation services along with conducting medical camps, providing medicine supplies, eye glasses and offering cataract surgeries under the DBCS project. 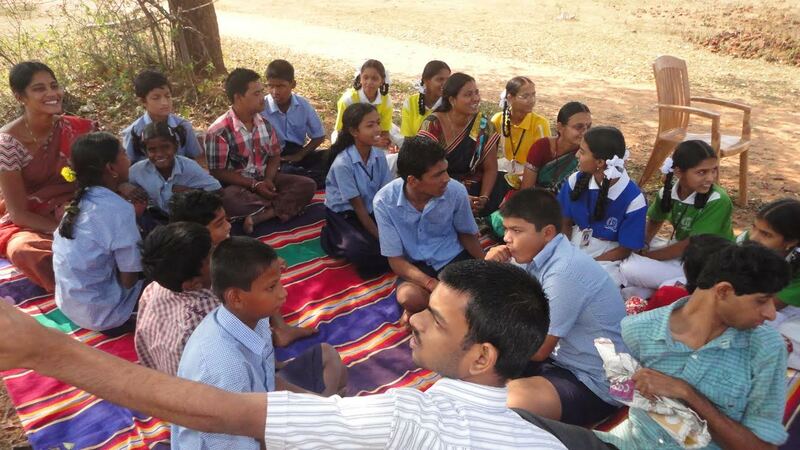 These students, who belong to around six villages in the approximately 15 km radius around Shantiniketan are picked up by two mini autos at 9 am and dropped back to their homes at 4:00 pm. Their daily activities begin with a prayer, followed by breakfast and education about daily living skills and functional academic skills till 12:00 pm. 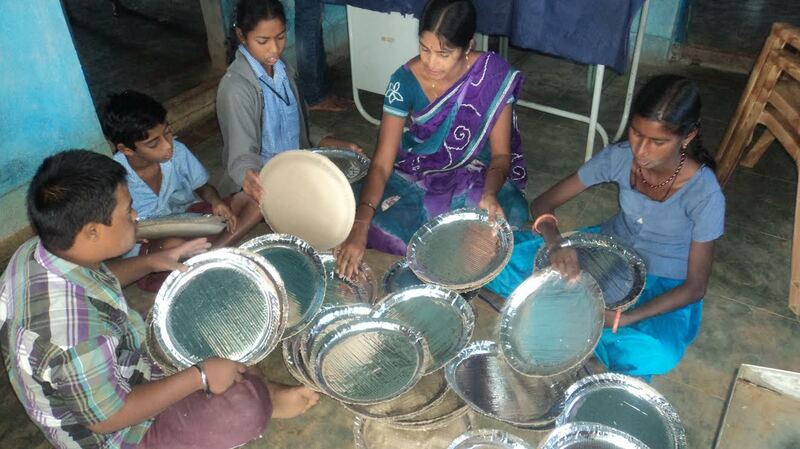 The staff then provides them lunch followed by vocational training and recreational activities, five days a week. Vocational training for students include making of envelopes and candles, book binding, commercial cookery, domestic skills, leaf plate making, baking, printing, horticulture, tailoring/embroidery, with a focus on agro based vocational activities. Pannela, who is currently serving as a special educator and consultant psychologist in Atlanta, hails from Adilabad District. He holds a Masters Degree in Psychology and M. Phil. in Rehabilitation Psychology, in addition to a Bachelors Degree in Special Education and a Diploma in Vocational Training & Employment for the Mental Retardation from NIMH Hyderabad, India. “I got the inspiration (for Shantiniketan) while working as a mandal resource person in utnoor mandal, Adilabad district,” he says. 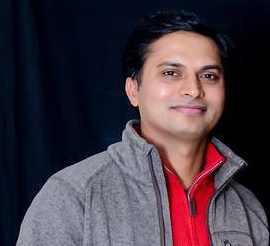 His job description included enrolling students with special needs in government schools and educating government teachers and parents about students with special needs such as the causes for disability, interventions and teaching strategies. “The Government staff was not ready to provide services to children with special needs and ignored and disrespected my job” he says. So Janardhan decided to take matters into his own hands and came up with the idea of a sheltered special education organization and registered Shantiniketan in 2001. Shantiniketan however came into existence only in 2011 due to lack of resources and insufficient funds. Pannela hopes the community will support, in cash or kind, the efforts of Shantiniketan so that all the children in the district deserving of care can be served. You may visit http://www.shantiniketanadb.org/ for more details.